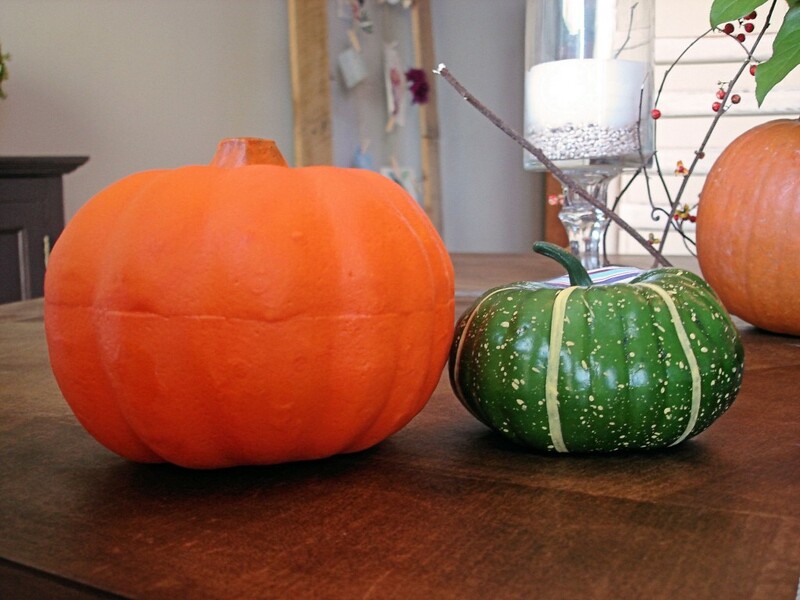 Mod Podge pumpkins are all the rage right now, so of course I had to make my own. 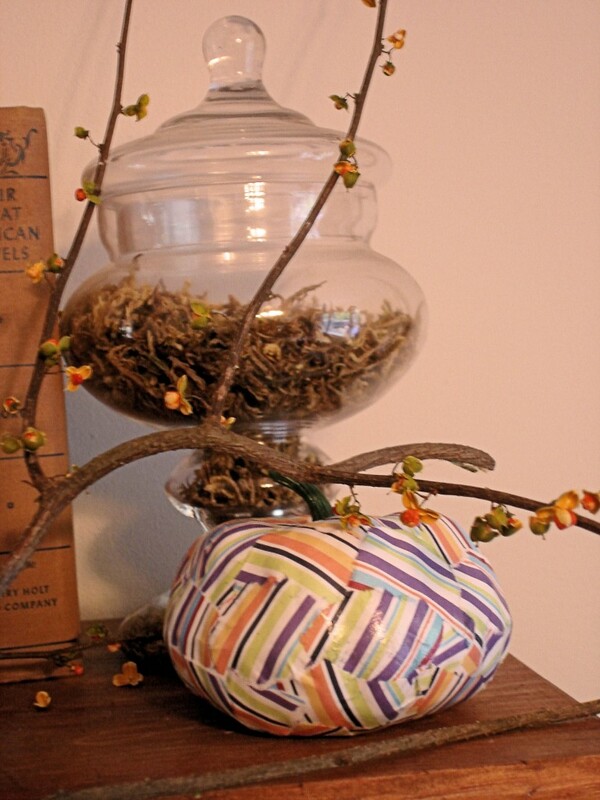 I wanted to use fake pumpkins so I could reuse them year after year (although I think the use of real pumpkins is cute- it’s not exactly budget friendly). So I picked up these not-so-cuties from Dollar Tree with the intent to give them a new look. 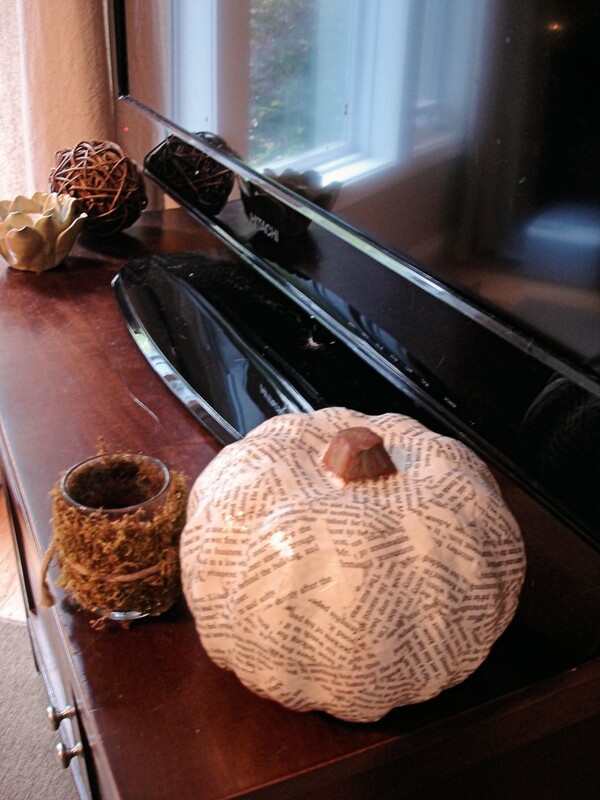 Of course we have the requisite book page pumpkin (see other book page projects here, here, and here). Then I used some scrapbooking paper I had on hand to cover another two. 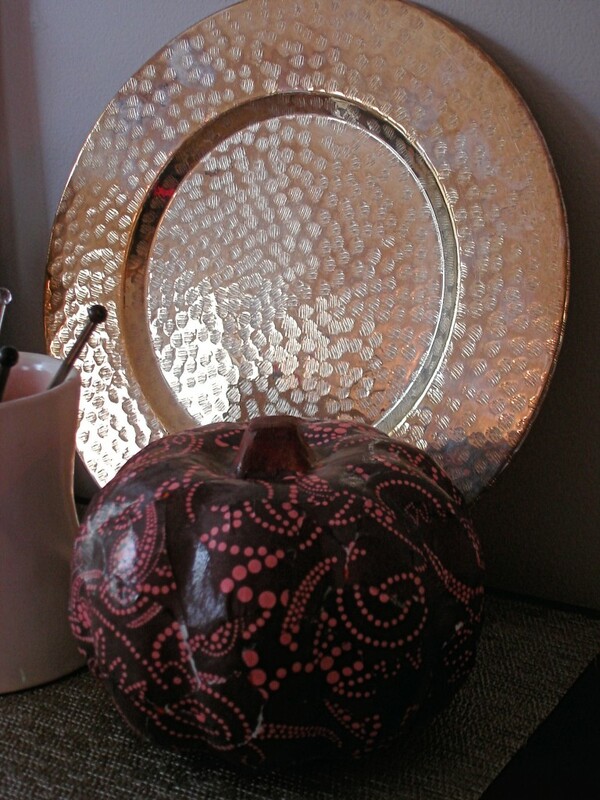 Cute, simple, and cheap! I had everything on hand except the $3 worth of pumpkins. 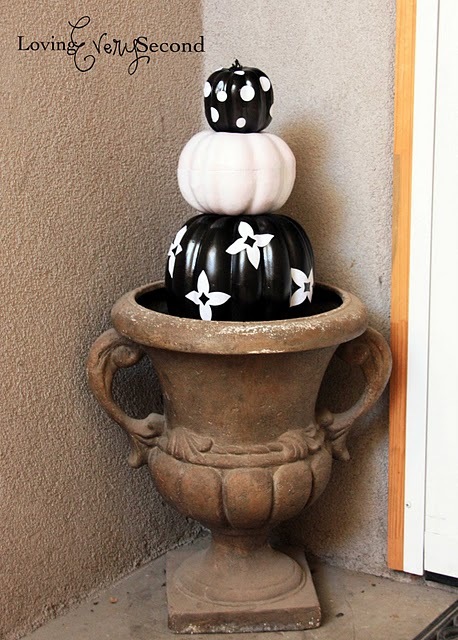 Here are some other awesome pumpkin ideas I found while surfing Pinterest. I so love these. I had to run right to Dollar Tree this morning and try it out. I’m nutty for anything Halloween!